Our favorite Scion FR-S is in the shop today! This is the first in the Central Florida area to supercharge or do forced induction to the FT86 platform. 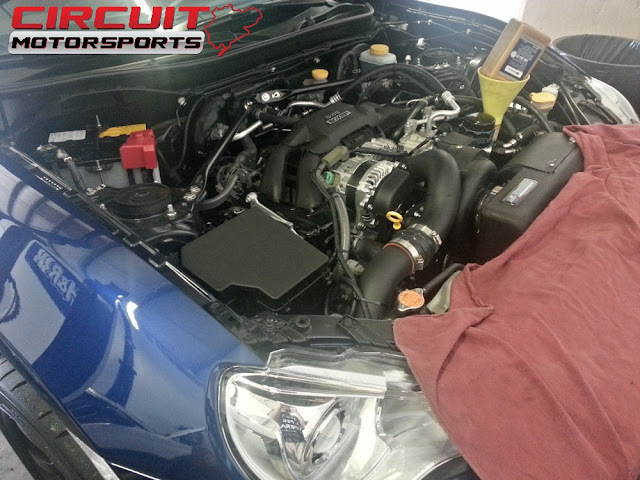 This mean regular engine oil changes and frequently we have to drain and fill the lubricant in the Vortech Supercharger. Keep an eye out soon for our full video and coverage of this build! If you're in the Orlando area and are looking to supercharge your BRZ or FR-S get a hold of us today and we can go over your options!